Each pupil should choose an origami sheet. 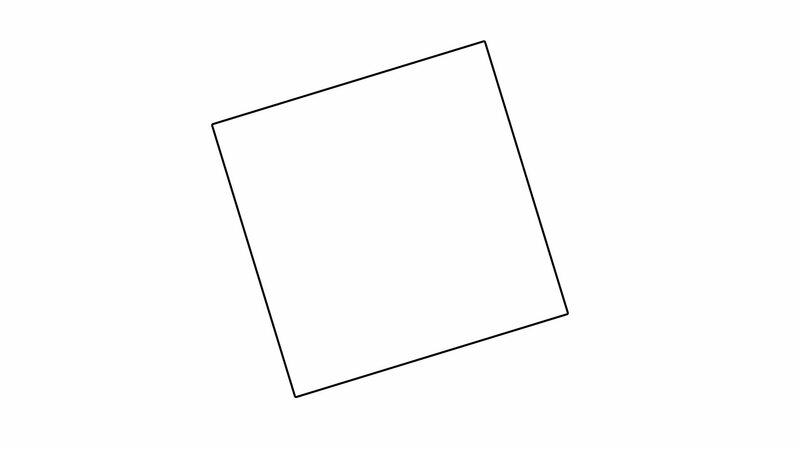 Answer: The shape is named a square having all sides of equal length and all angles equal. Folding instructions: After opening the fold cut along the diagonal to obtain two triangular shapes. Folding instructions: Fold two opposite vertices as shown with both triangles. From this stage all activity should be done with both triangles. Folding instructions:Fold two vertices as shown with both triangles. Folding instructions: Fold two colored sides onto the line of symmetry with both triangles to form kite shapes. Check that pupils have folded the correct colored sides. Folding instructions: Fold the two adjacent sides onto each other as shown with both triangles. Folding instructions: Fold as shown in the animation. Folding instructions: Fold the vertices on to each other as shown and open the fold with both triangles. Folding instructions: On one of the shapes open the colored right angled triangle shape. Folding instructions:On one of the shapes mark the shown segment in red. Check that the correct segments are colored in red. Folding instructions: On one of the shapes cut the marked red segment. Before the cutting check once again that the correct lines are marked. Folding instructions: Turn the one shape and fold the quadrilateral inside as shown. Folding instructions: With one shape fold the smaller triangle shape onto the larger triangle shape. You now have two mouse shapes. One should be kept in your folder for the next lesson and take the other one home. The next lesson: The circle and representation of an angle. Scissors, several sheets of A4 printing paper and 3 origami paper sheets 15cm x 15 cm.